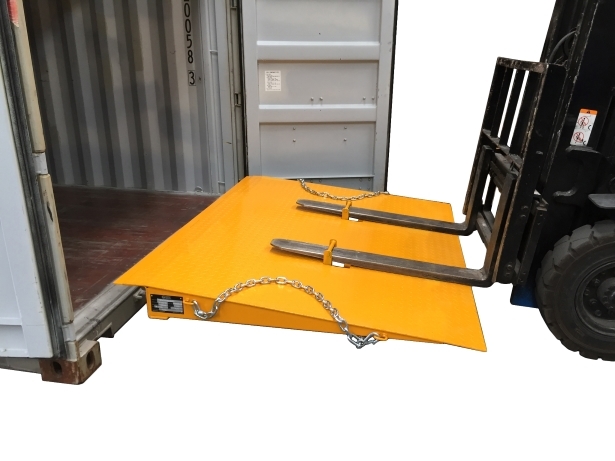 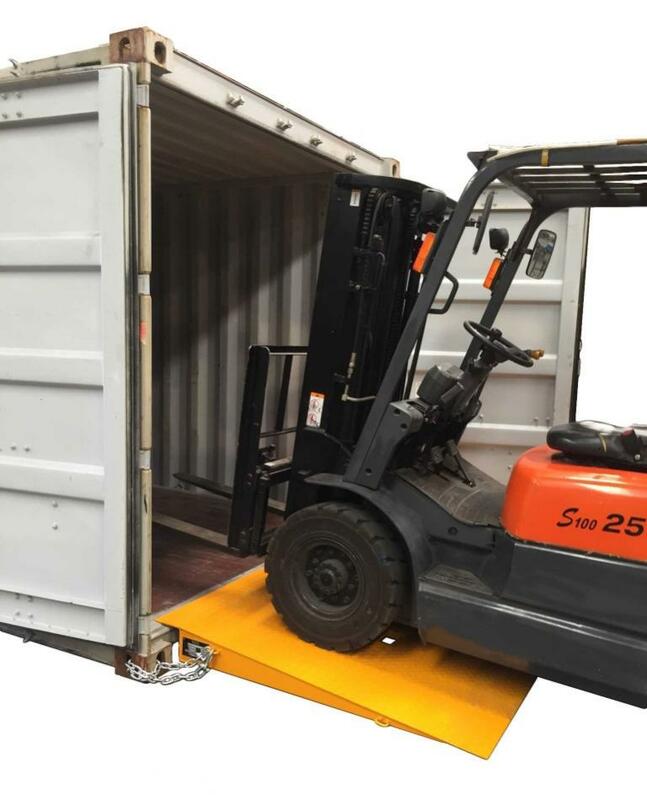 The DHE-FRSD6.5 Container Ramp 6.5 Tonne Standard Duty has an overall length of 1.5 metres overall allowing easy placement and removal of the first and second line of pallets in a container. Securing safety chains located on both sides of the ramp prevent unintentional disengagement of the ramp from the container. 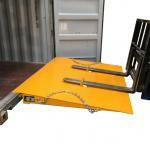 – Movement by simple front entry forklift truck pockets. 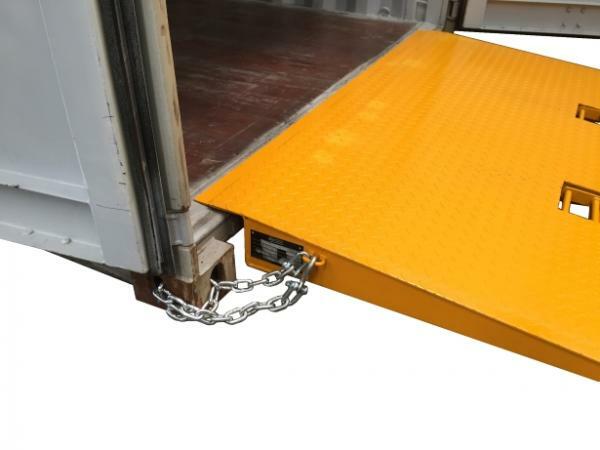 – Fork pockets are provided with flip-up front tine pockets for ease of transport. 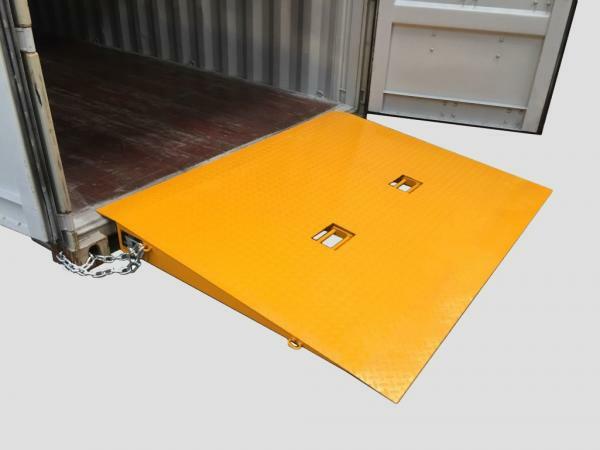 – Fits any standard 10ft, 20ft or 40ft flat deck containers. 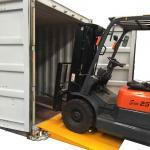 – Not suitable for refrigerated containers. 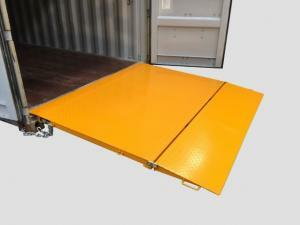 – Designed for use on flat concrete surface. 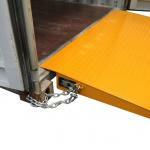 – Supplied with Chain and D Shackle. 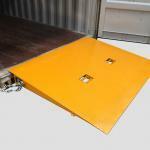 – Standard finish is painted Safety Yellow.